Education Minister Torbjørn Roe Isaksen announced on Monday he’d limit the types of courses available to Norwegian students going short-term programs abroad, to put an end to so-called “bathing studies.” Isaksen said students traveling to exotic locales to do courses like “winter sports and free-riding” and “physical activity and health” did little to improve students’ worldliness, and was a waste of taxpayers’ money. At least six Norwegian colleges have agreements with commercial operators like Active Education, GoStudy and Gateway College, which run courses worldwide, reported newspaper Aftenposten. The studies cover areas like winter and summer sports, personal trainer certificates, health, nutrition, nursing, languages, social studies, economics and leadership. The destinations include Chamonix, Florida, Brazil, Bali, Mexico, Cape Town, Sydney, New York and Paris. The commercial parties have responsibility for the practical running of the courses, while the college retains academic responsibility for the studies on offer and awards diplomas upon graduation. Because the courses abroad come under the state colleges’ remit, students get stipends and national loans just like regular students studying in Norway. Isaksen said the ministry would undertake a critical review of the arrangements on offer, and discuss them with the various colleges in autumn. “There should be academically compelling reasons for them to be allowed to continue,” he said. Students who had already signed up to courses in the autumn 2014 semester would not be affected. He wouldn’t speculate which of the courses would likely be deemed irrelevant, but said the colleges would get the opportunity to argue on behalf of the courses they believed were of high academic quality. “But our starting point is to put an end to these, so that we can rather spend the resources on real internationalization,” Isaksen said. 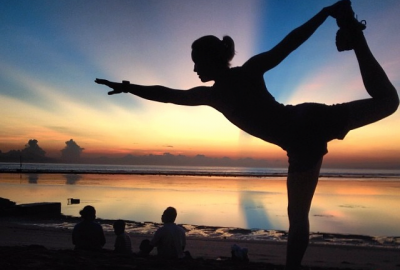 Marthe Løfshus spent four months in Bali with Active Education in 2013, as part of her personal trainer studies at Hedmark College. The 20-year-old said she took her studies seriously, and thought it would be sad if others didn’t get the same opportunity. “There are always some who choose not to work hard, but that’s the same whether it’s in Bali or in Trondheim,” Løfshus said. “You also learn a lot about yourself, and another culture.” She said studying in Bali was a great motivation, and she has since worked as a personal trainer and gym teacher. She’s planning to begin a teaching degree in autumn, and will take more sports courses so she can work as a physical education teacher. Nesna College offered 12 different overseas courses with commercial operators, reported Norwegian Broadcasting (NRK). Principal Sven Erik Forfang said the study abroad program is a big draw card for the college, which may need to seek government compensation if it is forced to cut courses. The program also helps Nesna attract students from some of the international destinations, like Bali.